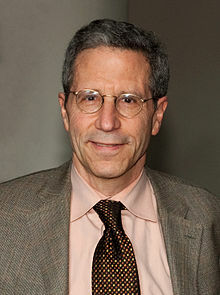 Eric Stark Maskin (born December 12, 1950) is a North American economist and 2007 Nobel laureate recognized with Leonid Hurwicz and Roger Myerson "for having laid the foundations of mechanism design theory." We investigate how the degree to which credit markets are centralized affects efficiency when there is asymmetric information. Specifically, we argue that decentralization of credit may promote efficient project selection when creditors are not fully informed ex ante about project quality. Our starting point is the idea that, although an entrepreneur (project manager) may have a relatively good idea of her project's quality from the outset, creditors acquire this information only later on, by which time the criteria for profitability may have changed. Thus, a poor project (one whose completion time is too long to be profitable ex ante) may nevertheless be financed, since a creditor cannot distinguish it at the time from a good (quick) project. Mathias Dewatripont and Eric Maskin. "Credit and efficiency in centralized and decentralized economies." The Review of Economic Studies 62.4 (1995): 541-555. After society has decided on a social choice rule-a recipe for choosing the optimal social alternative (or alternatives) on the basis of individuals' preferences over the set of all social alternatives-the social planner still faces the problem of how to implement that rule. In particular, the planner may not know individuals' preferences. He might attempt to elicit them, but this may not be an easy task, even abstracting from communication costs. If individuals know the rule by which the planner selects alternatives on the basis of reported preferences, they may have an incentive to report falsely. Eric Maskin, "Nash equilibrium and welfare optimality." The Review of Economic Studies 66.1 (1999): 23-38. How could such industries as software, semiconductors, and computers have been so innovative despite historically weak patent protection? We argue that if innovation is both sequential and complementary—as it certainly has been in those industries—competition can increase firms’ future profits thus offsetting short-term dissipation of rents. A simple model also shows that in such a dynamic industry, patent protection may reduce overall innovation and social welfare. The natural experiment that occurred when patent protection was extended to software in the 1980's provides a test of this model. Standard arguments would predict that R&D intensity and productivity should have increased among patenting firms. Bessen, James, and Eric Maskin. "Sequential innovation, patents, and imitation." The RAND Journal of Economics, 40.4 (2009): p. 611. It’s true that my initial training was in mathematics. However, almost by accident, I happened to take a course from Kenneth Arrow on “Information Economics,” which was so inspiring that I decided to change direction. It seemed to me that economics combined the best of both worlds: the rigor of mathematics with the immediate relevance of a social science. As for how much math I would recommend, I’d say that basic analysis, including measure theory, is certainly very useful. Also, linear algebra and stochastic processes always helps. But beyond that, I don’t think a huge mathematical investment is necessary to do economic theory unless you are planning to work in an extremely technical area. "Interview with Eric S. Maskin: Questions by TSE students" at tseconomist.com, 04/07/2013; In answer to the question of why he decided to become an economist.